Carol Baldwin Moody, J.D. is an experienced Risk Expert of Integral Board Group and has over 30 years of global, industry-awarded experience in risk and compliance management. Her work has transformed compliance and risk programs and left a sustained impact on organizations and team members. Carol served as the Senior Portfolio Manager for Investment Compliance and Operational Risk for CalPERS. As head of CalPERS Investment Compliance function, Carol was responsible for developing, implementing and monitoring investment management compliance and operational risk programs and policies. Carol has extensive U.S. and international experience in legal, compliance and risk management in the banking, insurance, pension, private equity and mutual fund sectors. Prior to serving at CalPERS, she was the Chief Risk Officer for Wilmington Trust Company overseeing all aspects of risk management and successfully folded the de novo ERM framework she developed into the acquiring bank’s risk program. Prior to that, she also served as the Chief Compliance Officer at Nationwide Insurance and the first enterprise-wide CCO of TIAA-CREF. Carol started her career as a corporate associate at Debevoise & Plimpton where she focused on corporate finance, mergers and acquisitions, general corporate and securities laws. During her 9 years at Citicorp, she was promoted to hold successively more senior legal positions and became Head of Compliance for the Global Relationship Bank overseeing compliance programs in over 90 countries. Carol has been a frequent speaker at various domestic and international insurance, legal and compliance forums. She is active in many charitable and educational activities. 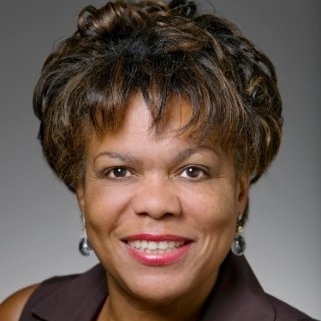 From 2003-2010, she also served as a director of Carver Bancorp (NASDAQ:CARV), the nation’s largest African American-operated bank. A native of Philadelphia, PA, Carol holds a Bachelor of Science in Finance from the Wharton School of the University of Pennsylvania and a Juris Doctor degree from Columbia Law School. She is also a member of the Council on Foreign Relations.